Blogwatching: What’s all the fuss about the 30% ruling? Molly Quell is an American journalist living in the Netherlands. She blogs at Neamhspleachas about anything that strikes her fancy and today turns her attention to the small bombshell which hit the international community last week. 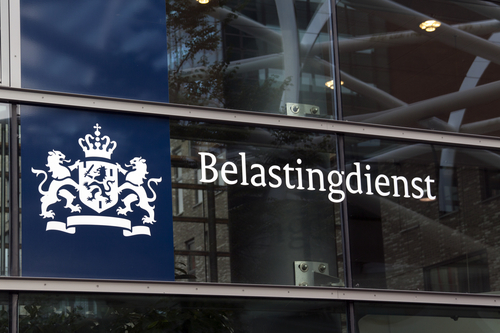 Internationals in the Netherlands have been up in arms recently about the government’s planned changes to the 30% ruling. A Change.org petition has garnered over 10,000 signatures. So what’s all the ophef about? Some people who are classed as highly-skilled migrants are eligible for the so-called 30% ruling which means, basically, you do not pay income tax on the first 30% of your earnings. There are a number of requirements. For example, you must earn a certain amount of money and you can’t have lived within 150 km of the Dutch border before you moved. 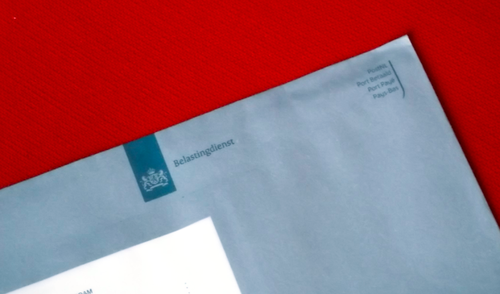 Dutch citizens are also eligible – if they haven’t lived in the Netherlands for ten years. Essentially, the 30% rule is supposed to offset the costs of living abroad for the traditional expat. It purports of offset relocation costs, travel home, extra expenses for schooling and lack of a partner’s income. A reduction in the number of years that you can qualify was agreed during the 2017 coalition talks. The coalition agreement stated that it was going to reduce the number of years from eight to five but didn’t specify when or how that ruling would apply. Last month, however, the finance ministry dropped its bombshell. The period during which you can claim the tax break is to be cut from January 1, 2019 to five years… and the new rules will apply to both new arrivals and existing claimants. That means if you moved here in the past few years, obtained the 30% ruling and were told it was good for eight years, it is not. It is good for five years and that is that. If you have the 30% ruling or you were planning to get it, you should, of course, talk to a tax adviser, because I am not one. But I do know a lot of people are upset. And it does seem incredibly unfair to be promised something which is then revoked. Adding extra fuel to the fire, when the government reduced the ruling from ten years to eight a few years ago, it factored in a transition period for those who had been eligible for the full ten years. A report drawn up for the government last summer concluded the 30% ruling is ‘too generous’ and could easily be cut. It said, for example, that for many people, the 30% ruling wasn’t a deciding factor in taking a job in the Netherlands. More than that, some 80% the expats using the tax break only did so for five years. Further, it concluded that because the time limit for similar schemes in other countries is less than the eight years offered in the Netherlands, reducing the number of years wouldn’t reduce the Netherlands’ competitive position. Denmark has a so-called expat scheme which caps the maximum tax rate at 26% for seven years. Spain reduces the top tax bracket and only taxes income earned in Spain for six years. France has a partial income tax reduction for eight years. Belgium has a special tax status which can offer some tax advantages. Canada and the US seem to offer none. At the end of the day, the Dutch government doesn’t think its own tax scheme, as it stands, is worth the cost – an estimated €900m last year – to the country’s purse. Nevertheless, making the reduction retroactive is a dumb thing to do. People are clearly annoyed and are accusing the government of bad faith, but more than that, the 30% ruling makes a considerable difference to incomes. People who made plans on the basis of having a certain income are having the rug pulled out from under them. This is grossly unfair. If nothing else, there should be a transition people factored in for those who are now finding themselves thousands of euros a year worse off. Should the Dutch government get rid of it? Probably. There seems to be little evidence that it is useful for recruitment broadly speaking. A reduction in the number of years isn’t likely to make other countries more attractive financially, as most other countries limit their expat tax schemes to six years or less. If it isn’t helpful in recruitment and costs the public purse nearly a billion euros a year in tax revenue, it doesn’t seem to make good financial sense to keep it on. Moreover, I don’t think it should exist at all. If Dutch employers want to recruit top talent from abroad, then they should pay higher wages. The cost of recruitment should not be picked up by the taxpayer, but by the company itself. ICAP found last year that 63% of foreign employees got no assistance with school fees and 80% got no assistance with housing. Perhaps this companies could offer some useful perks to their employees rather than relying on the Dutch taxpayer to underwrite them. Note: Molly is a Dutch News contributing editor and co-hosts the Dutch News podcast. This blog was first published on Neamhspleachas and you can also follow her on Twitter at @mollyquell. Every month we feature a blog post from one of our favourite bloggers. Interested? See if your blog meets the criteria to be included on the site.